I know from experience that colouring is a very relaxing activity. In fact, according to an article in the Huffinton Post, Carl G. Jüng was the first psychologist to apply colouring as a relaxation technique. But for those who have not touched a colouring pencil in a while, a blank page might be a bit daunting. 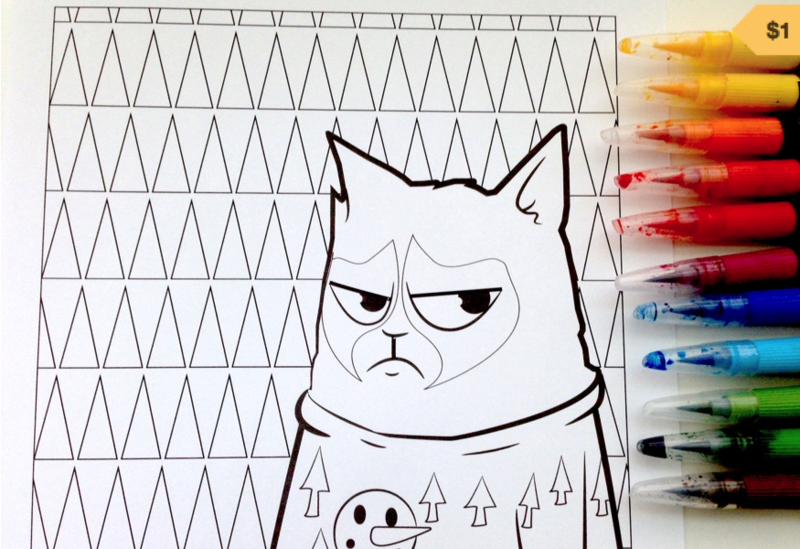 This inspired me to try a new project and create fun colouring printable pages as a way to help those who are looking to get rid of some stress and what better way to colour your stress away then by adding some colour to a grumpy cat. The first one, is a modified version of a drawing I did a couple months ago. I just uploaded it to my Gumroad page and you can download it for only a dollar, print it as many times as you'd like and add your spin on it. Hopefully it will help you get rid of some stress and put a smile on your face.